There are three deaths. The first is when the body ceases to function. moment, sometime in the future, when your name is spoken for the last time. 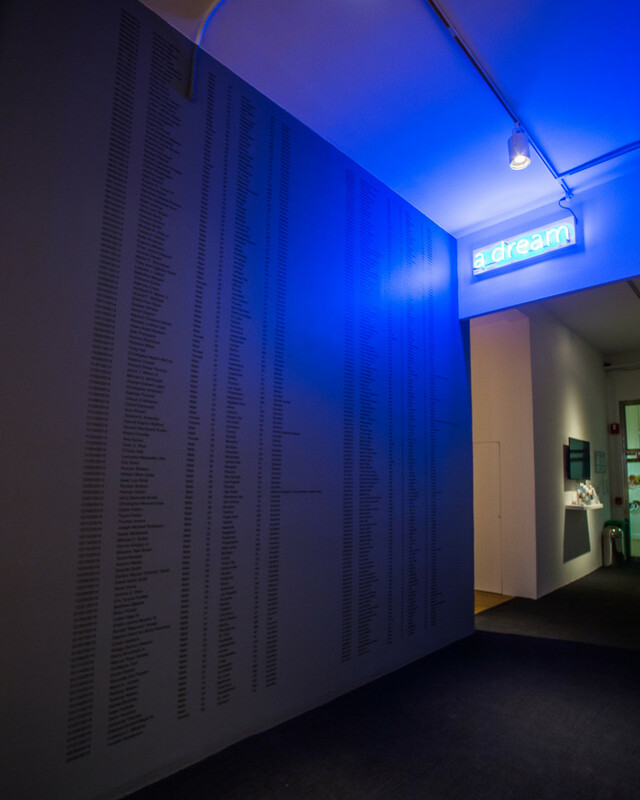 Installation view of A Partial List of Unarmed African-Americans who were Killed by Police of Who Died in Police Custody During my Sabbatical from Massachusetts College of Art and Design, 2014-2015, 2016. 262 names with dates, ages, genders, locations, and manners of killing in vinyl text on wall with latex paint, neon, wires, transformer. Installed as part of I Dread to Think.... at the Mills Gallery at the Boston Center for the Arts curated by Liz Blum. Photographed by Melissa Blackall Photography. Read more about the origins of the work at my blog..